Beautifully crafted Onyx, Granite and Marble Cremation Urns with wonderful colors and styles. 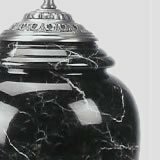 We have an affordable cultured marble urn or real marble cremation urn for your loved one or a large selection of natural stone urns. The wide selection guarantees a perfect fit for many situations requiring funeral or burial urns. Our marble urns range in size from small, 3" keepsakes to large companion urns for two people.